Discover your inner tartan, in Kindcardine where an original Scottish experience awaits. Explore Scottish-themed festivals. Marvel in the excitement of a pipe band parade. Kincardine’s historic downtown, with its unique shops and restaurants will ignite your curiosity and your taste buds. After a delightful respite, stroll alongside the mighty Lake Huron … you just might hear phantom pipers play. The essence of the Scots is yours to explore in Kincardine. Kincardine is proud of their Scottish roots and their connection to Lake Huron. From their Scottish themed festivals and pipe band parades to their phantom pipers, Kincardine offers an original Scottish experience, a historic downtown atmosphere and a waterfront location where the local tartan is proudly displayed and everyone can enjoy a little taste of Scotland. March with the Kincardine Scottish Pipe Band as they parade Queen Street every summer Saturday evening at 8pm in downtown Kincardine. Head to Walker’s Lookout or grab a seat on one of our Big Blue Beach Chairs and take in a famous Lake Huron sunset as the Phantom Piper’s eerie lament pipes the sun to sleep. Grab you surf board, beach towel or volleyball and hit up sandy Station Beach & Boardwalk home of many events throughout the summer. Looking to try your hand at Stand Up Paddle-boarding or being outfitted for the sport? Check out West Shore Surf Shoppe for all of your surf, surf rental and beach wear needs. Kincardine’s Scottish Shop, located across from Victoria Park, are the purveyors of all things Scottish including kilt rentals! Visit Penetangear, the lakeside lifestyle experts, for casual, outdoor and active clothing and equipment for the entire family. Kincardine is also host of several high-end gift shops and ladies fashions, such as Nine Waves. 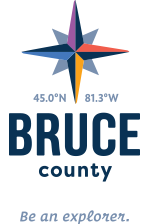 Enjoy casual fine dining with a side serving of sunsets at The Bruce Steakhouse a place to get local food, including Bruce County’s famous beef. Hawg’s Breath features the best paninis and friendliest atmosphere in town. Just steps away from the downtown core and shoreline the Inn at the Harbour, Kincardine’s premier boutique hotel, will delight even the most discerning of traveler. And did we mention that every room has a sunset view? For a true waterfront stay, fall asleep to the sound of the waves at the Lakefront Bed & Breakfast, a truly romantic, adult retreat. The Best Western Governor’s Inn or Marriott Towne Place Suites offer the quality and space for a group stay or big event.